Island Walk proves beyond doubt that the word “unique” is way overused. Just beyond the entry gate and guard house, residents, and their guests drive across the first of nearly 30 bridges that connect the peninsula islands that give Island Walk the “island” in its name. Island Walk is truly a waterfront community. Its unique design for an inland community provides the vast majority of homes with direct water views. Only a few homes do not have water views. Even those residents can enjoy a leisurely stroll along the walking paths and bridges that line so much of the community’s shoreline, putting the “walk” in its name. The only way to appreciate Island Walk without a personal visit is from the air. Thanks to Google Maps, that spectacular view is possible. See Island Walk from above. Island Walk is also unique because of its Town Center located, as one might expect on an island in the center of the community. There are three vehicular access bridges to the Town Center. Four additional bridges give foot traffic easy access to Island Walk’s resort-style clubhouse and its pool and lap pool, fitness center, eight tennis courts and putting green. The community employs an activities director, so there is always something happening that contributes to the sense of community. But, what makes the Town Center unique among Southwest Florida communities is that it also is home to a bank, a car wash, a post office, and a Texaco gas station. The Town Center is also home to several fast-food restaurants, the Island Walk Café, the Nacho Baja Grill, and the Blue Monkey Bar and Grill. Access to the finger-style lakes is also available at the town center. Residents may canoe or kayak throughout the still waters. Fishing is also permitted from anywhere along the shoreline, including residents’ backyards. Island Walk is located north of Naples and east of Interstate 75 with entrance from Vanderbilt Beach Road. The community is a mix of single-family homes, villas, and townhomes. The average home in Island Walk is about 2,000 square feet. By far, most homes have private pools and spas. Each Aruba townhouse is a stately, two-story with nearly 1,800 square feet under air. The townhomes have three bedrooms, two baths, a patio, and a two-car garage. The two-bedroom, two-bath Capri Villas also feature a den within 1,500+ square feet of living space. Each villa has a two-car garage. The single family homes have a variety of elevations and floor plans in two design groupings. The Carlyle is the larger of the designs at 2,000 square feet and above. 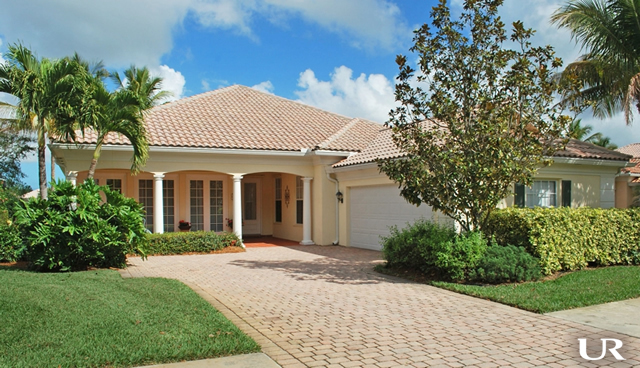 The Carlyle homes have four bedrooms and three bathrooms, with the added luxury of a sun room. Some Carlyle homes have a fireplace. Each has a two-car garage. The Oakmont design is a comfortable 1,997 square foot three-bedroom, two bath, single-family home, with a two-car garage. Young, school-age children attend either Laurel Oak or Vineyards Elementary School. Both are close to Island Walk. Vineyard is on the south side of Vanderbilt Beach Road. Laurel Oak is just to the north of Island Walk on Immokalee Road. Laurel Oak Elementary shares a campus with Gulf Coast High School, where those in 9th to 12th grade attend. All middle school students (grades 4 to 8) attend Oakridge Middle School, which is similarly close, but located just east on Collier Boulevard. Unique. Often over-used, but not when it comes to describing Island Walk.